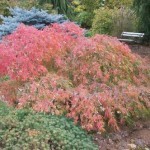 A small rounded tree with gracefully cascading branches. 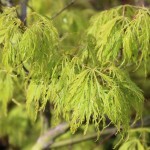 The finely cut leaves are a bright green, changing to yellow and orange in the fall. 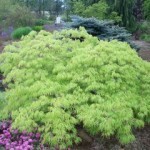 One of the most vigorous of green laceleaf maples, it forms a nice compliment to the red versions. Prefers well-drained, acidic soils and some protection from summer sun.